Mountz provides torque tool solutions to a variety of industries like aerospace, automotive, electronics, energy, medical, packaging and more. Controlling torque is essential for companies to ensure their product’s quality, safety and reliability. The failure of a three-cent fastener that isn’t properly tightened can lead to catastrophic or latent failures. Fasteners that are insufficiently torqued can vibrate loose, and excessive torque can strip threaded fasteners or damage parts. Using a torque tool has become increasingly important for many companies to ensure that proper torque is being applied and maintains gauge requirements associated with the ISO 9001 Quality Standard. With over 45 years of experience, let the Mountz staff share their in-depth knowledge of torque solutions with you. Contact us and learn more about how we are consistently developing and producing as well as marketing and servicing highly sophisticated, cutting-edge tools and solutions for the industry. Mountz, known among members of the industry as the nation’s premier torque tool supplier, is an ISO 9001 certified and ISO 17025 accredited company. Mountz offers tools that comply with ISO6789:2003 and are constructed from high quality materials, engineered for superior reliability and safety and backed by an industry leading warranty. In the manufacturing and assembly world, tightening, controlling, or measuring torque fasteners is imperative for production efficiency. An inadequately torqued fastener can vibrate or work loose: conversely, if the tension is too high, the fastener can snap or strip its threads. Faced with these problems, manufacturers are realizing that precise torque control can spell the difference between a safe, reliable, and economical product and complete disaster. Effective use of a torque tester is a fast and reliable method of calibrating torque tools to their proper settings. A torque tester can also be used for quick tests on the line or in the lab to determine whether torque tools are holding a given setting. Testers also allow quality control inspectors to calibrate torque sensors and verify torque on fasteners. A quality torque tester should have enough memory to record several hundred readings, and it should store calibration data for multiple torque transducers. Let us help give you a competitive advantage through consistent, accurate torque output or readings and a rapid return on your investment, with Mountz torque tools that are built to last. We provide tools that serve as part of your company’s infrastructure, instead of tools that have to be replaced every few years. 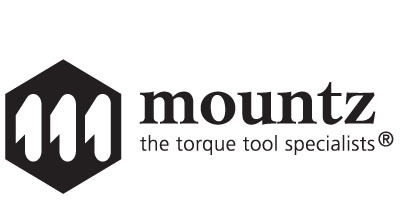 Look for the Mountz logo and know you’re receiving the best torque tool in the industry!